Health care is a basic human right. No matter where you live or how much money you make, you should be able to see the doctor and afford your prescriptions. Sadly, President Trump and Congressional Republicans have launched an all-out assault on this right. Their efforts to dismantle the Affordable Care Act have shamefully put the health care of millions on the chopping block — all to give handouts and tax breaks to the wealthy. Despite protests from millions of Americans demanding that Congress protect health care, President Trump and Congressional Republicans’ insidious attacks have continued even after the defeat of their legislation to repeal the Affordable Care Act. Now, the Trump administration is trying to make it harder for people to enroll in health care. They’ve already cut the advertising budget to promote this year’s open enrollment period, denying families critical information about how and where to get covered. And in many states, the Trump Administration has reduced the time for enrollment down to a mere six weeks. We can’t let them succeed in sabotaging health care for millions. That’s why I’m asking you to join with me this open enrollment season to help spread the word about the high quality, affordable coverage available through the ACA — coverage that will cost most people less than $100 per month. The Affordable Care Act is not perfect, but it has been instrumental in expanding health coverage and ensuring the most vulnerable in our communities can receive care. In our state alone, more than 4.5 million Californians have gained coverage since the law was enacted, including more than 100,000 in my district. Nearly 6.8 million African Americans nationwide have become newly eligible for health coverage since we first passed the ACA. In addition, the ACA has also allowed for $11 million in federal funding to support and expand services at our community health centers, such as Asian American Health Services, Native American Health Center, West Oakland Health Council, and La Clinica de la Raza. These centers provide vital, lifesaving programs and quality care to those who might otherwise have no options. The dedicated work of community health centers is essential to addressing racial disparities in health care, particularly among our African American, AAPI, Native American, and Latino communities. But this law won’t work without our participation. So, we need to spread the word on open enrollment begins Nov. 1 and ends Jan. 30, 2018. I hope you will help connect the uninsured in our community with local health care workers and encourage them to get covered. Take a moment today to visit CoveredCA.com or call 800-300-1506 to get more information about enrollment centers and connect with certified enrollers for support. Now more than ever, we must ensure our community has access to the health coverage they deserve. As you continue your work on the ground, know that I will not rest in Washington until President Trump and Congressional Republicans end their crusade to kick millions of American families off health care. 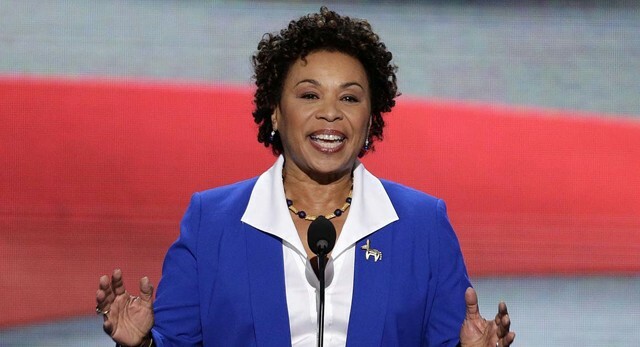 Rep. Barbara Lee, D-Oakland, has represented the East Bay in the U.S. House of Representatives since 1998.